Y&T ended a long drought of making an area appearance Sunday as they played the outdoor patio at Braun’s in Akron, NY. The last time Y&T appeared on Buffalo soil was when they opened for Motley Crue on the Theatre Of Pain tour at the Aud in 1985. Leader Dave Meniketti blamed it on his old booking agent for not playing this region in the past during one of the song breaks. Meniketti is kind of an underdog as Y&T is celebrating their fortieth year of recording and touring, yet so many people are unaware of his talent. For a band to be around that long is a testament to how good they really are. 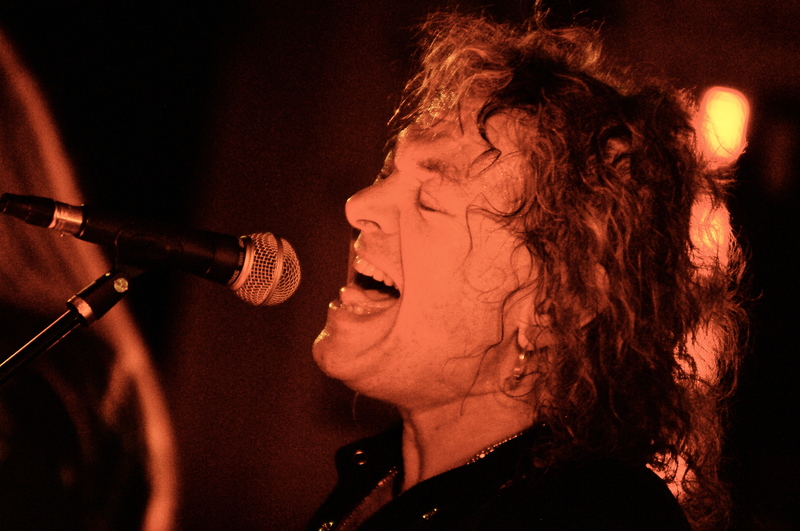 Meniketti remains one of the best hard rock guitarists and vocalists in the world and has influenced many musicians. 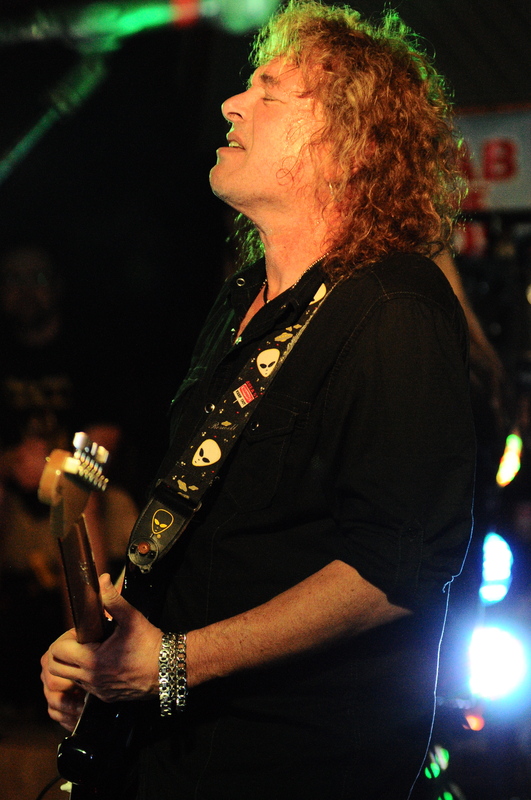 Although Meniketti remains the band’s lone original member, the current version includes guitarist John Nymann, bassist Brad Lang and drummer Mike Vanderhule. The band does the songs justice and in some cases the songs sound fuller. A great example of this was “Summertime Girls,” the band’s best known commercial song sounded meatier with guitar replacing its famous keyboards. The band opened their electrifying set with their go-to opener “Open Fire” before immediately launching into fan favorite “Lipstick and Leather” then following up “Don’t Stop Runnin.” It was a great way to garner the fan’s attention right from the start. Not too many bands can kick off their set with a three song barrage to match Y&T’s. Other highlight’s from the bands near two hour set included “Midnight In Tokyo” and “Rescue Me.” “Contagious” was a real treat, although it received some airplay on the metal shows back in the day, it was surprising how many were familiar with the lost classic as they sang along. The only downside to the show was having it held on the patio as opposed to the huge outdoor stage under the roof. Unless you were lucky enough to be in the first two rows you were unable to see the band perform due to the stage being ground level. While the patio might be well suited for a local Friday night band to play it is not a good way to have a national headliner play on it. It is hoped that the band makes a return trip very soon. As I glanced around at the audience many were singing along and enjoying the fact the band finally made it to town even in some less than ideal conditions.